Fun or technical? You decide! 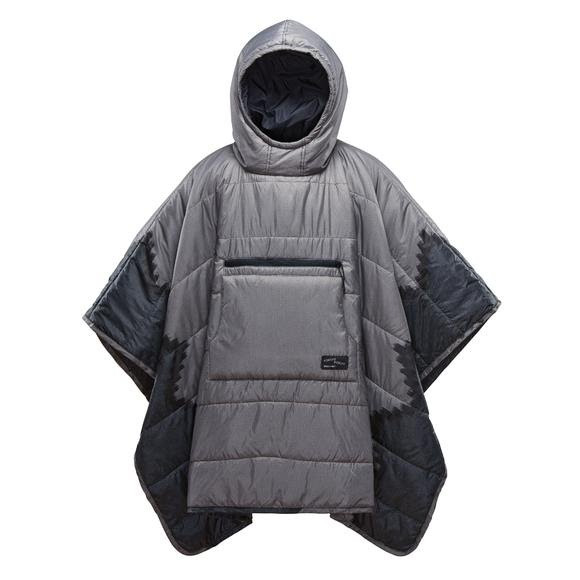 Therm-A-Rest's Honcho Poncho offers extra warmth and water resistance for any outdoor activity as a blanket or poncho. Wear it while relaxing around camp before layering it with your sleeping system for extra warmth through the night. The stylish, synthetic-insulated poncho easily packs down into the kangaroo pocket so that you can pack it anywhere you roam. Fun or technical? You decide! Therm-A-Rest &apos;s Honcho Poncho offers extra warmth and water resistance for any outdoor activity as a blanket or poncho. Wear it while relaxing around camp before layering it with your sleeping system for extra warmth through the night. The stylish, synthetic-insulated poncho easily packs down into the kangaroo pocket so that you can pack it anywhere you roam.